Implementing security cameras in daycare facilities is the latest trend in education. It’s understandable because parents want to know that their children are safe and protected at all times. More and more incidents of violence, abuse, robberies and more, occurring in day care centers, have been popping up. 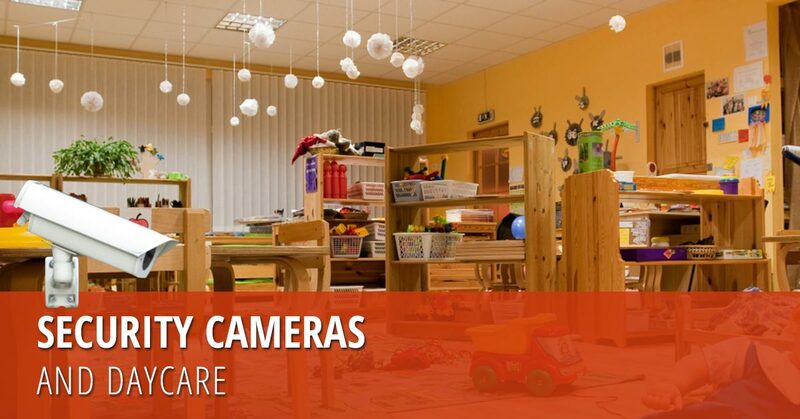 The use of security cameras in a daycare center is a great way to alleviate anxiety about your child’s safety. Visual Security takes your child’s safety, and our job, very seriously. We are dedicated to providing the best products and services in the industry to ensure the safety of you and your loved ones. Contact us today to learn more! As a daycare owner, installing security cameras has major advantages. Daycare centers are not the first thing most people think of when they think of robberies, abductions, abuse, and violence. However, they still happen in daycare centers, and it’s important to consider taking necessary measures to make sure you are protecting the children in your care and your employees to the best of your abilities. With a security monitoring system, you are able to keep tabs on all the children and employees in your facility to make sure nothing goes wrong. If something does go wrong, you will know about it, and be able to handle it quickly. If a children wanders off, not only will you be able to catch them, but you can see where they’re headed and prevent them from wandering off in the future. Security camera systems give you the control over your daycare facility, and allow you to have eyes everywhere. With your security system, make sure that you’re taking precautions to maintain security in the privacy of your video feed. If your security system gets hacked, there’s no telling who will be able to see your footage, and your employees and students will not be protected. 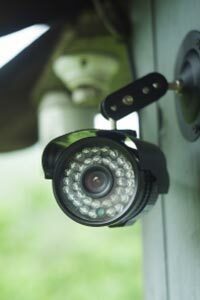 As a child care provider, investing in security surveillance is a great decision, but it’s important to take it seriously and be proactive with it. With Visual Security, we’ll help you make sure your security system is as secure as possible. We will help you work to prevent hacks, and only those who are allowed will have access to the video feed. You’ll have a comprehensive video recording of everything that happened throughout the day, to look back on and make sure your daycare center is truly secure. We recommend installing surveillance in classrooms, hallways, outdoor playgrounds and walkways, and parking lots for maximum security. Contact us to learn more! Can your supervisors watch and hear teachers without being in the room? Does the area surrounding your facility have security issues? Do you already have a security system in place? Is it working? Have you had issues with intruders, child conflict, abuse, etc.? Have there been issues that you wish you could have seen again on tape? What is your biggest concern with your facility’s security? Taking all these things into account will help you decide what kind of surveillance system is best, as well as how dire your need for surveillance is. Our technicians are happy to answer any questions you have. Call us at Visual Security today to learn more! With more and more incidents happening in daycare facilities, many parents are concerned about whether or not their daycare center is truly a safe place for them to bring their kids. As a parent, choosing a daycare center that gives you access to security surveillance gives you peace of mind in making sure your children are secure, and your daycare center is doing all they can to keep your child safe. With Visual Security surveillance systems, you’ll be able to monitor your child and check up on what they’re up to throughout the day. There is no longer a need to call to check-in on your child, and your peace of mind will be restored. When checking out a daycare center, make sure they implement Visual Security’s top of the line surveillance systems. When it comes to the security of your child, don’t settle for less than the absolute best. With us, you’re sure to have your peace of mind restored, and know your child is safe and protected. Call today!